It is very important to know programs loading at Windows start. While there is manual way of using Msconfig utility to see such details, everyone isn’t comfortable with it. 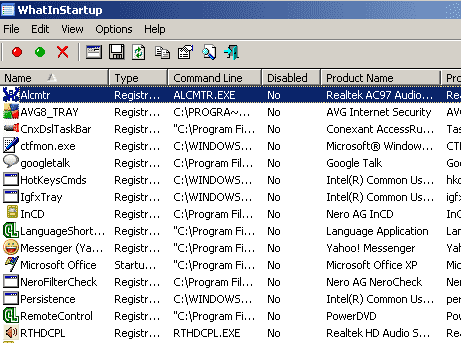 What In Startup is a cool utility to easily see list of programs loading at Windows start. It does not require install, just download, extract and double click on exe file and start using. XP to Windows 7 upgrade: yes, no, maybe? you forgot to add a link to download the program. I have installed it on my desktop and use it to kill Windows Live and anything by .Adobe. The programs are still available when needed but do not load on start up. Good utility, just hard to find by Googleing. Larry B quit complaining and give them the freekin’ link OMG! here folks is the Link to download the program PEACE love & Joy To You and YOURS!